DISH TV packages are price guaranteed for 2 years and offer industry-leading value, innovation, and entertainment. Find the satellite TV package that’s right for you. Worried about missing that game-winning goal or last-second Hail Mary? With a great selection of sports packages on DISH, that won’t happen! Plus, with DISH Anywhere* you can watch sports on-the-go with your phone, tablet, or computer. Catch up on critically acclaimed series, movies just released from theaters, and specials you can’t get anywhere else with movie packages from DISH. Get the best of both worlds with the widest selection of international programming add-ons starting at just $9.99/month. DISH offers you over 270 international channels in 26 different languages! *Watching live and recorded TV anywhere requires an Internet-connected, Sling-enabled DVR and compatible mobile device. High-speed Internet Starting as Low as $14.95/mo. 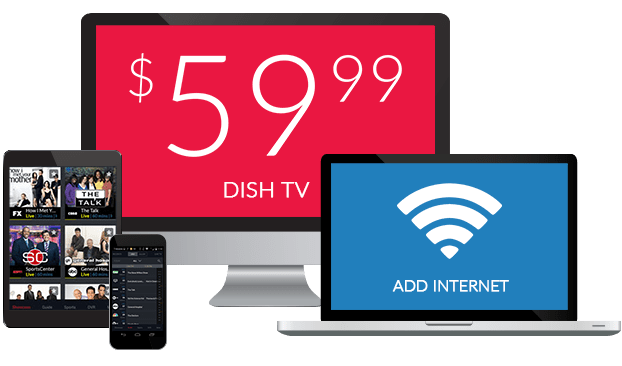 PlanetDISH partners with leading internet service providers to bring you internet for as low as $14.95* per month! Choose the right internet for your home and family, with DSL, cable, fiber and satellite options. We can help you find the perfect internet plan for your budget and location, no matter if you’re checking emails or streaming videos. Receive the convenience of one low bill and countless benefits when you bundle DISH TV and Frontier Internet service today! Choose between the Simply Core, Ultra, and Elite Internet plans for speeds of up to 25 Mbps, and pair that with up to 290 channels when adding a DISH TV plan. Frontier Internet plans start at just $20/month and when bundled with a qualifying DISH package get you a discount of up to $5/mo! Want the same price, every month, for the next 2 years? 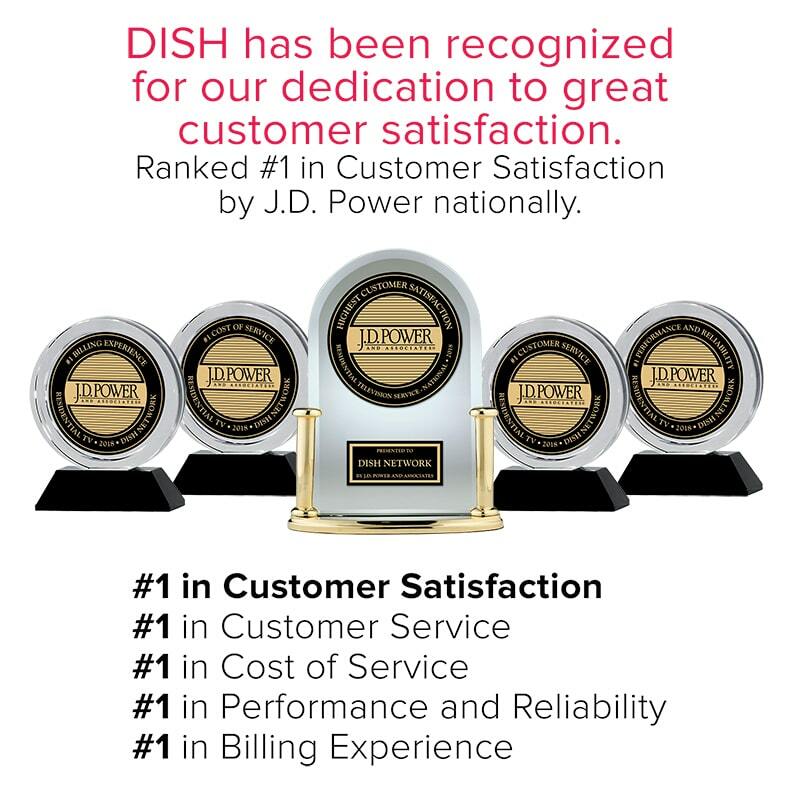 With the DISH Network 2-Year Price Guarantee you’ll have the same bill every month and never have to worry about price hikes or hidden fees again. Lock in your price with America’s Top 120, 120+, 200, or 250 package! Now, for a limited time, get a DISH Voice remote for FREE when purchasing a qualifying TV packages! Start surfing channels, Live TV, On Demand TV, and Netflix using advanced voice recognition technology. Now for a limited time get 3 FREE months of Showtime, STARZ, and the DISH Movie Pack at no cost! Enjoy access to thousands of movies and award winning series at home, and on-the-go with DISH Anywhere. 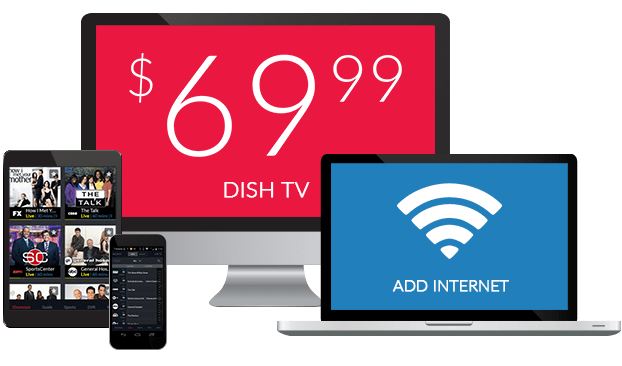 With the DISH Anywhere app, take your TV on-the-go and watch live TV, On Demand programing, and get access to you DVR recordings on any device. *Watching live and recorded TV anywhere requires an internet-connected, Sling-enabled DVR and a compatible mobile device. 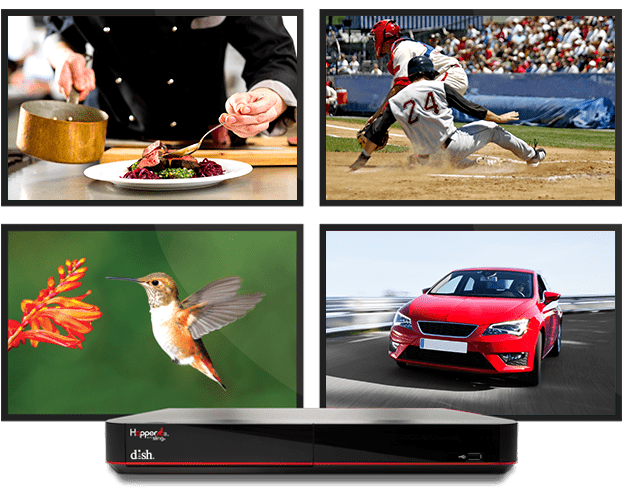 Your DISH package deals include crystal-clear HD channels, free for life. Watch hundreds of HD channels with 99.9% signal reliability. Plus, enjoy special TV events and On Demand movies in stunning 4K. *Watching 4K requires a 4K TV. Netflix streaming membership required. 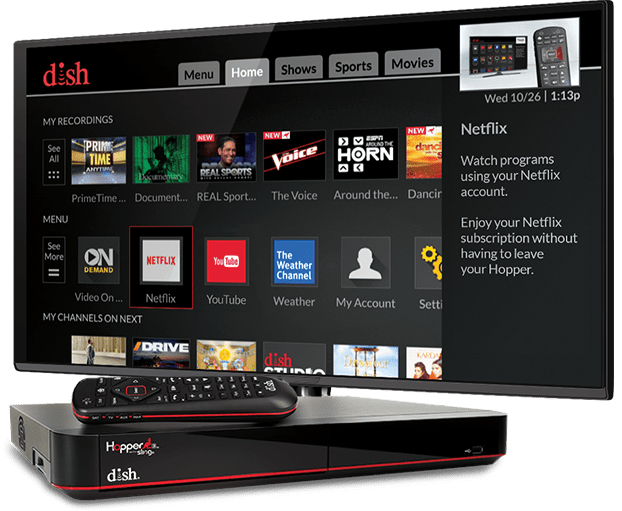 Add high speed internet to your DISH Network package with plans starting as low as $14.95/month*. 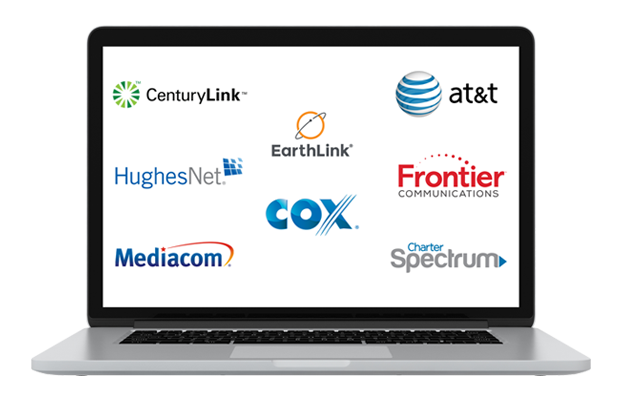 Choose between cable, DSL, fiber, and satellite Internet options that are available nationwide.